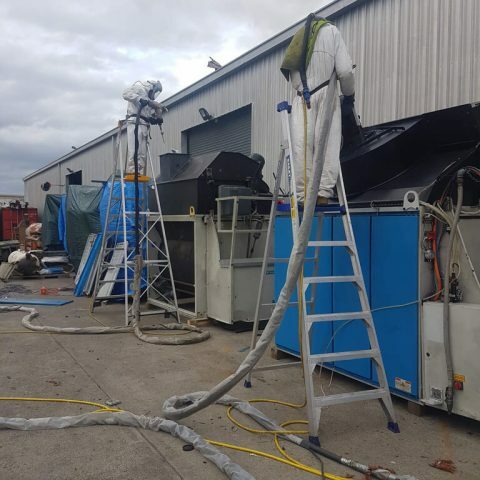 Polyspray can cater for all aspects of machinery coatings from epoxies to urethanes, right down to specialised coating preparation such as dry ice blasting in Melbourne and Ballarat – in fact right across Victoria. 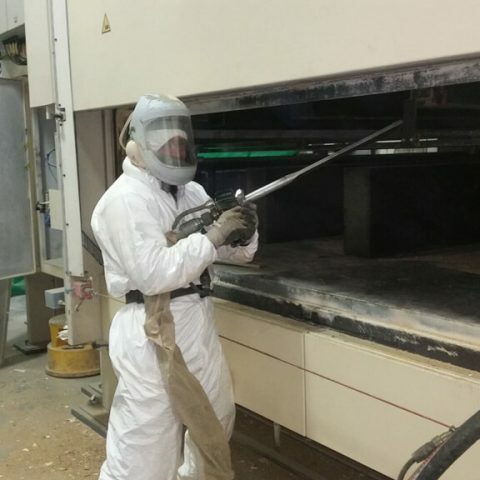 Need to remove all that greasy film but the surface is too delicate for our mobile sandblasting service? 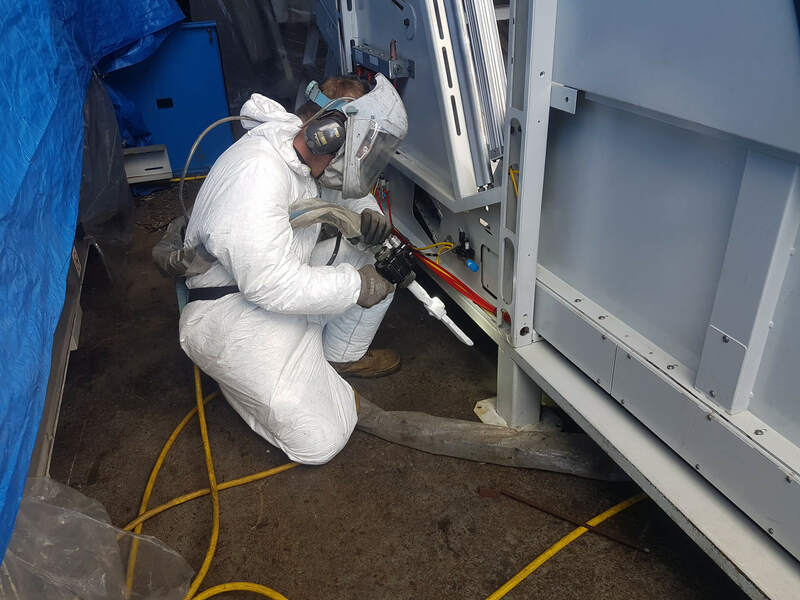 Well, here at Polyspray we provide dry ice blasting that leaves equipment clean and looking new without damaging intricate moving parts such as rams, machined surfaces and circuitry. 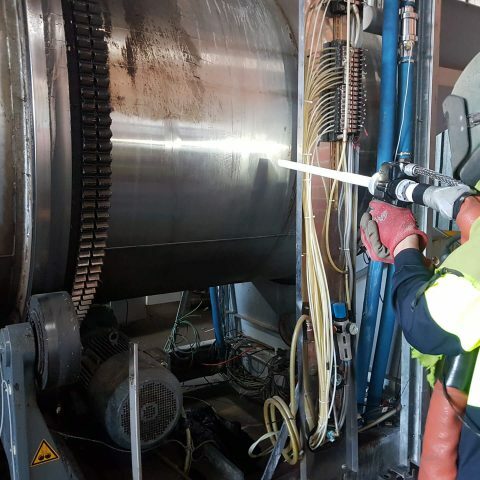 Dry ice blasting is much less abrasive than our soda blasting, so popular in Melbourne commercial situations. 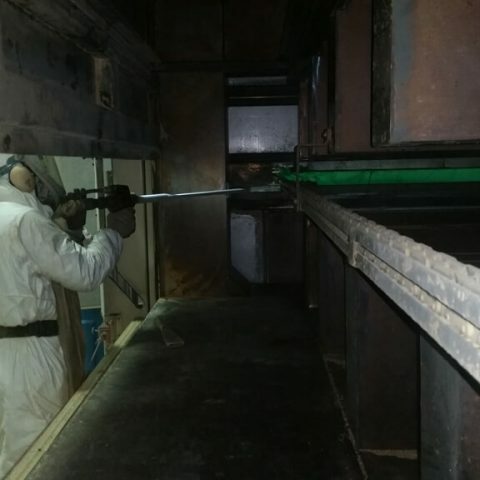 Dry ice blasting is specialised, safe and a no-mess, no-fuss form of non-abrasive blasting. 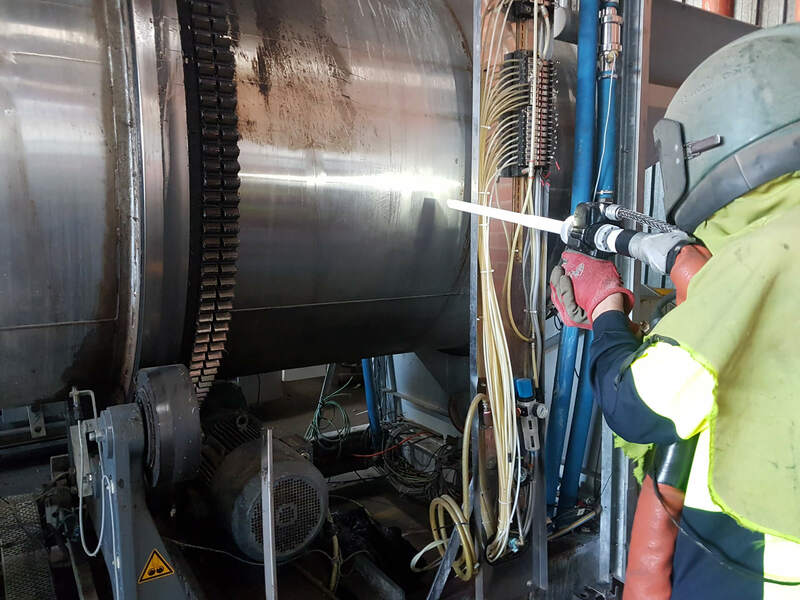 Think of dry ice blasting as dry ice sandblasting, where dry ice is the blast medium, not sand or other aggressive blast mediums. 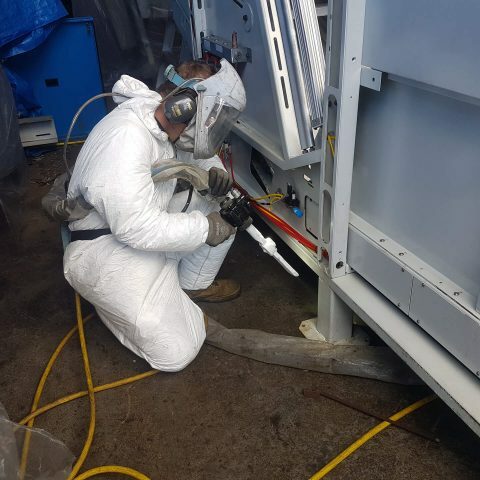 In particular, dry ice blasting is a great way to clean commercial kitchens and eliminates the need for all that horrid scrubbing to remove kitchen grease and grime. 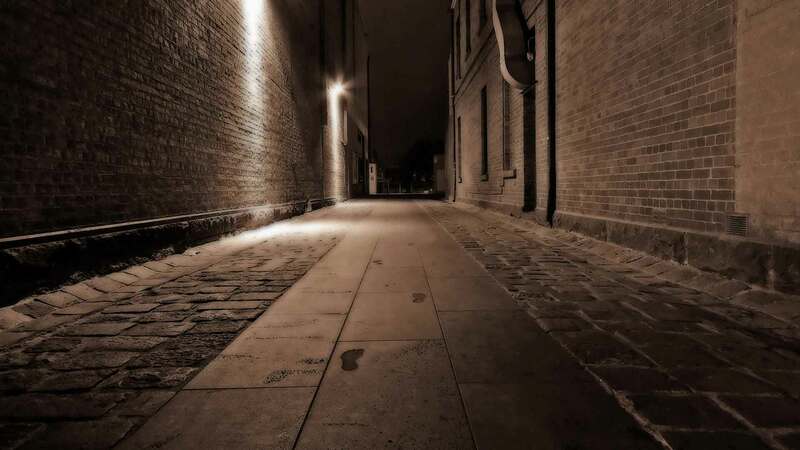 Once we have your kitchen clean, talk to Polyspray about floor coatings and polyurea for your floor. 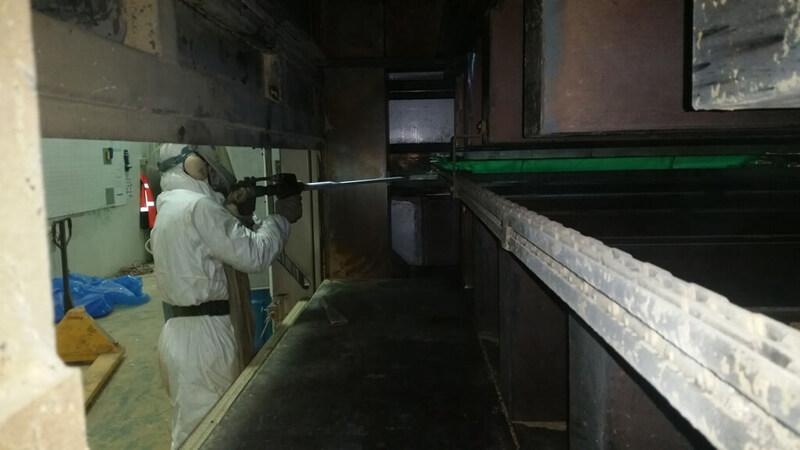 One seamless coat of food-grade polyurea and you will be hosing out that kitchen at the end of each shift with ease. 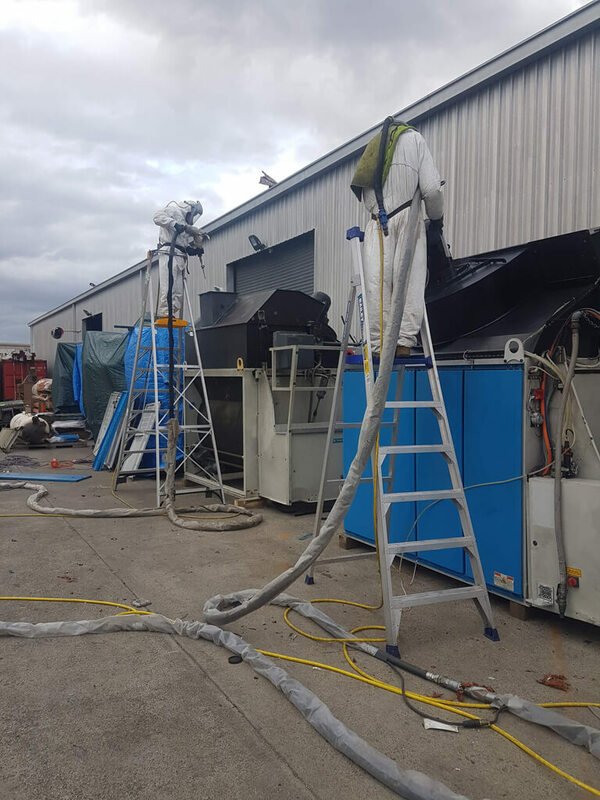 Polyspray’s range of equipment includes compressors to get the job done on time and to clients’ most-exacting specification. 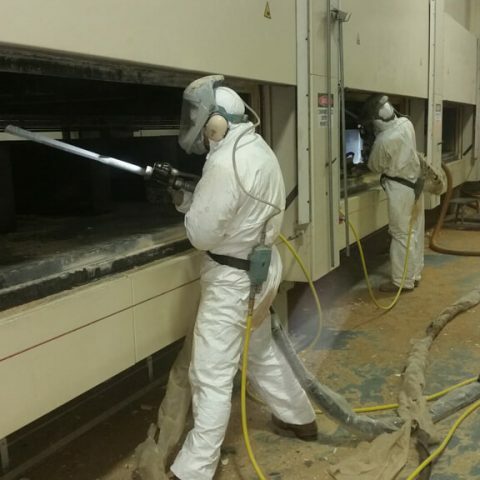 From the smallest mobile abrasive sandblasting job in Melbourne or Ballarat, through to large-scale industrial sandblasting at some of the state’s largest industrial sites, we have full in-house OHS systems and quality control management to ensure everyone arrives home safe and sound at the end of the working day and the job is completed precisely to the client’s specifications. 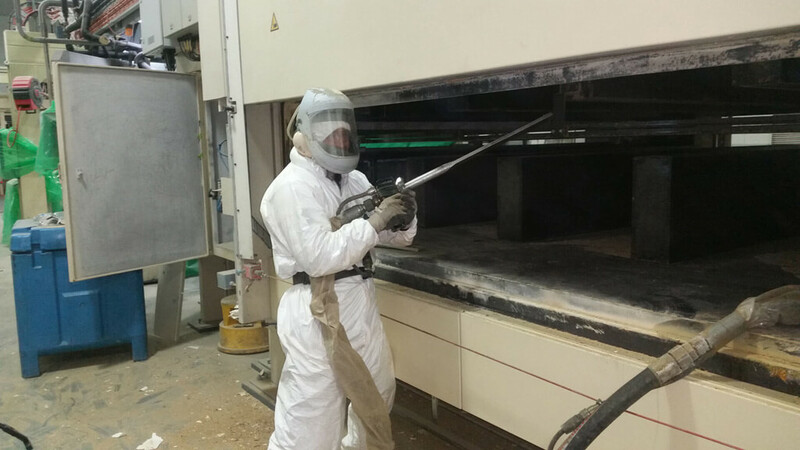 Polyspray also has the very latest in testing equipment, from dry film thickness gauges to digital blast profile gauges. 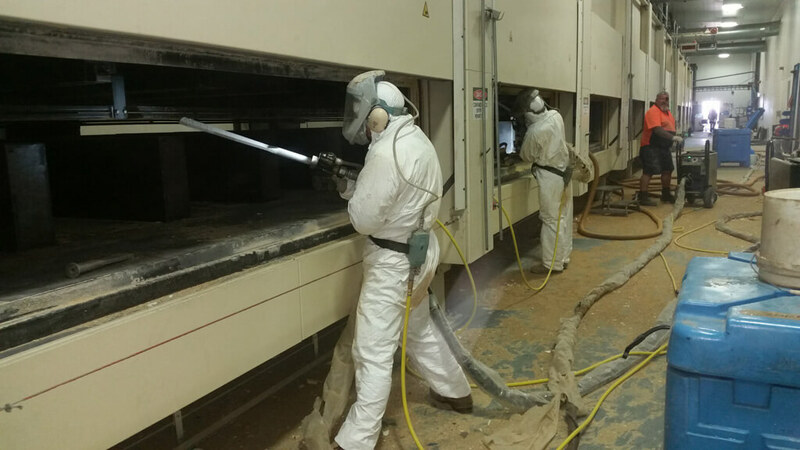 Polyspray can do your job from start to finish, providing all aspects of surface preparation.